Texture: playing around with different textures is the top way to add contrast and interest to an all-black look. 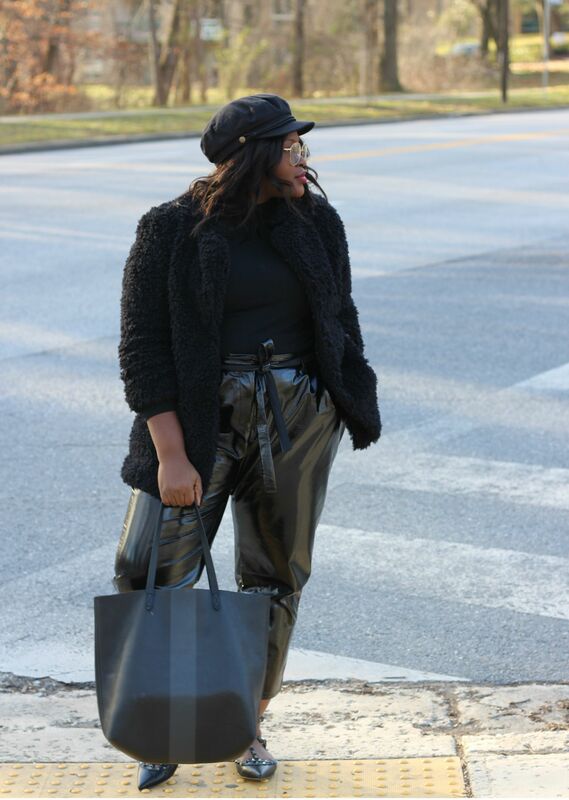 In this look, I’ve got fur, vinyl, leather, wool, and knits the result an all black look that draws the eye in. Quality: black is one of those colors that require some investment for many reasons, for example, the amount of wear, cheaper pieces tend not to hold up well. The colors fade with time and before you know it rather than looking polished you look worn. 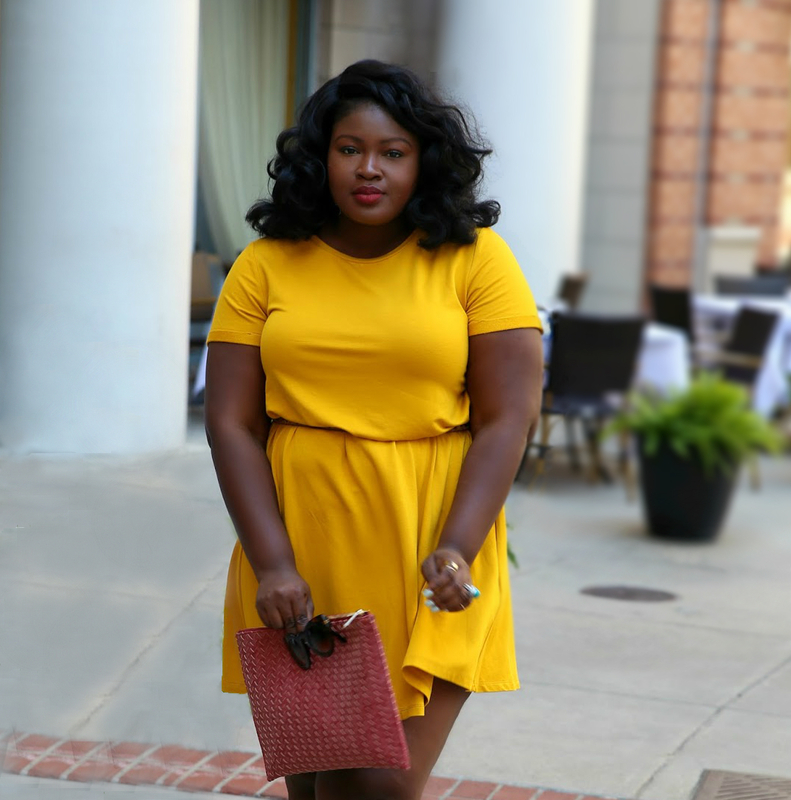 Fit: Investing in tailored well-fitted garments will have you looking like a million bucks and you don’t even have to break the bank stores like HM, Eloquii, Asos always have a great selection at fast fashion prices. 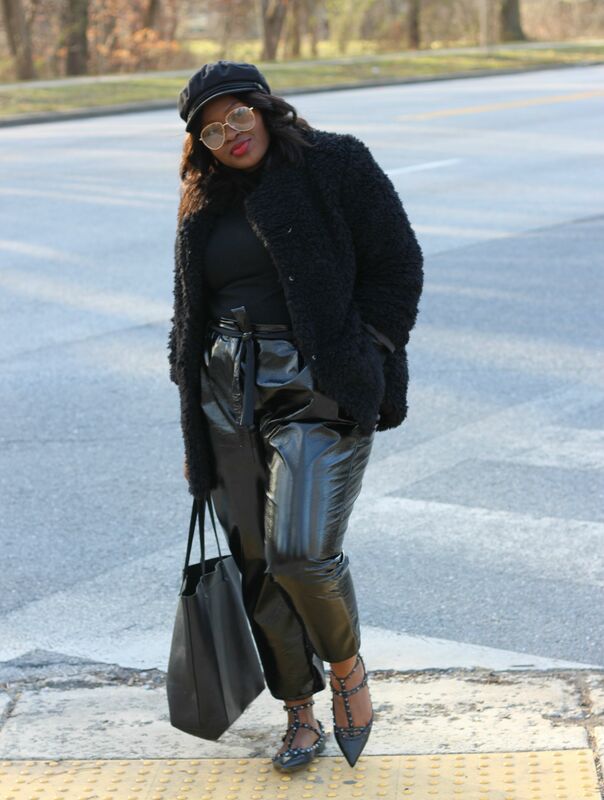 If you keep fit, quality and texture in mind your all black looks will be anything but boring. 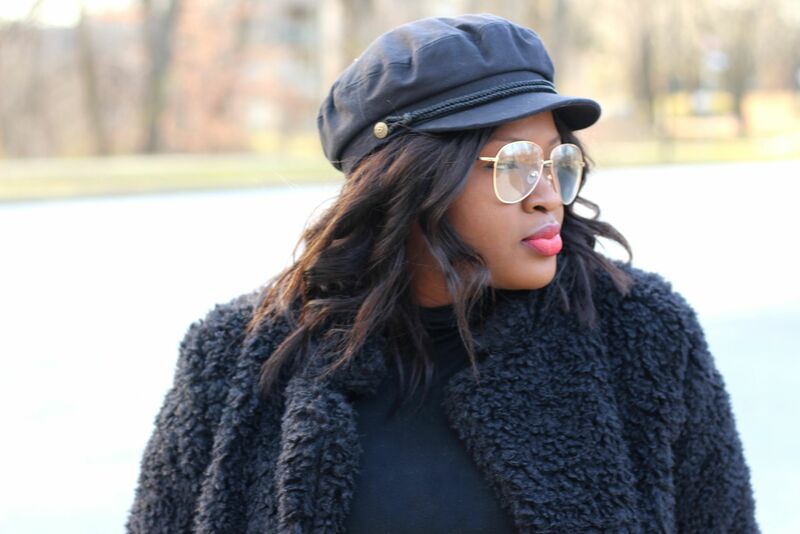 What are some of your favorite colors to wear in the winter? Are you an all black fan? Make sure to come back this weekend for my 2017 best buys post.